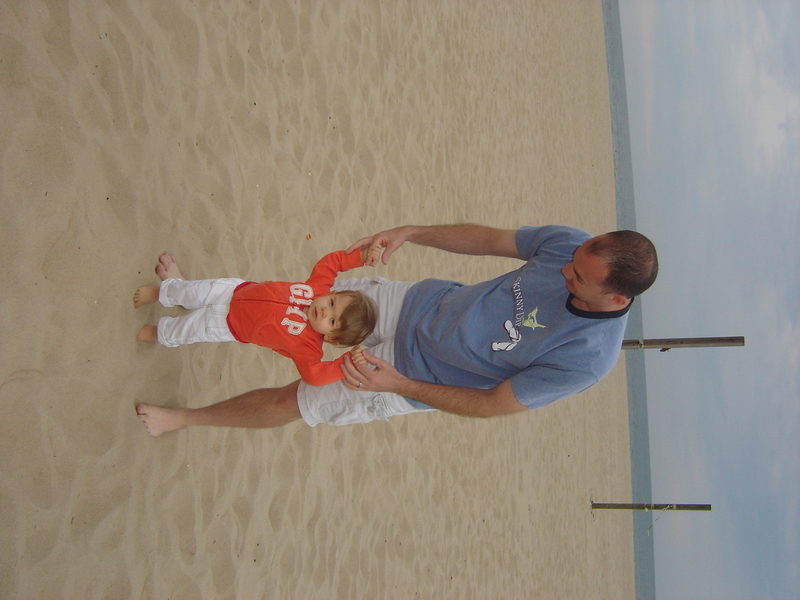 We enjoyed a nice weekend at the beach (well, besides the car ride down) with Leigh and Chip this weekend. Miss H was not amused by the 2.5 hour trip to the beach but luckily put on her smiley face for her Aunt when we arrived. Kerry and I tried every trick to get her to stop crying, screaming and thrashing during the car ride but had no luck. It was so bad that we even switched our summer vacation plans to not include a long drive to the Outer Banks and are now opting for a closer beach vacation. Now, onto the good news! 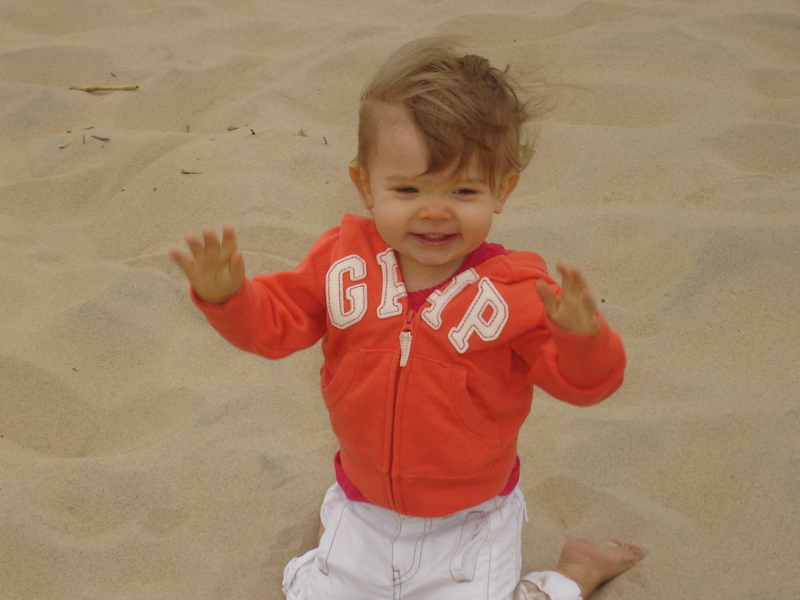 Hadley loved the beach and had fun playing in the sand. The weather was perfect on Saturday and we enjoyed walking the boardwalk, people watching, eating snow cones and just enjoying the lovely weather. Leigh and Chip did not believe our story of Hadley being a terror in the car because she was so good with them. Today, it was a little overcast and windy but we still enjoyed our beach time. And, there was no crying on the way home.